A national demonstration against corruption is being held by the Nationalist Party in Valletta next Sunday following fresh corruption allegations involving Prime Minister Joseph Muscat's family. The announcement follows allegations by journalist Daphne Caruana Galizia yesterday that Egrant, a secret company in Panama, is owned by Dr Muscat's wife Michelle. The Prime Minister has denied the allegations which he described as 'the biggest political lie in Malta's history'. He also asked an inquiring magistrate to investigate the claims. Addressing a press conference this morning, Dr Busuttil said that once the Prime Minister was now being investigated by an inquiry he should step down. "The country is in an unprecedented political and constitutional crises and the PM should either step down or be replaced by his own colleagues." Calls for Dr Muscat's resignation were backed by former Alternattiva Demokratika leader Michael Briguglio, who in a tweet said that the Prime Minister should step aside "until his name is cleared." Dr Busuttil called on the country's institutions, particularly the police, the Attorney General, the MFSA and the FIAU to respect their oath to the people and do their job and investigate. Claiming that the country's institutions have been hijacked by Dr Muscat, the PN leader said that it was an insult that the Police Commissioner went to eat rabbit with friends at Mġarr instead of getting the evidence from Pilatus Bank. The bank's offices were raided this morning. The bank has since welcomed the inquiry and denied the alleged ties to the Muscats. 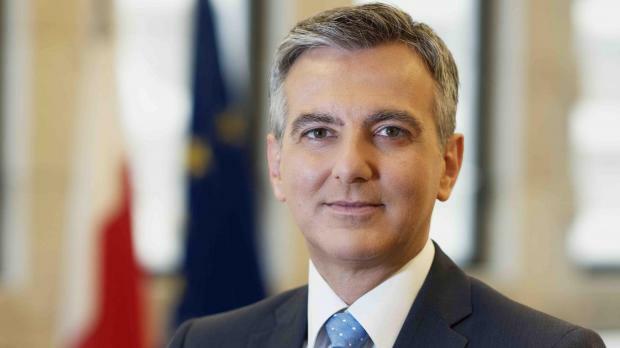 Dr Busuttil said people were concerned and suspicious as the Prime Minister kept Keith Schembri and Konrad Mizzi in their positions despite being caught with a secret company in Panama. He also claimed that the PM's lifestyle did not reflect his declared income citing an €11,000 hotel bill for a week's holiday in Dubai as one example.